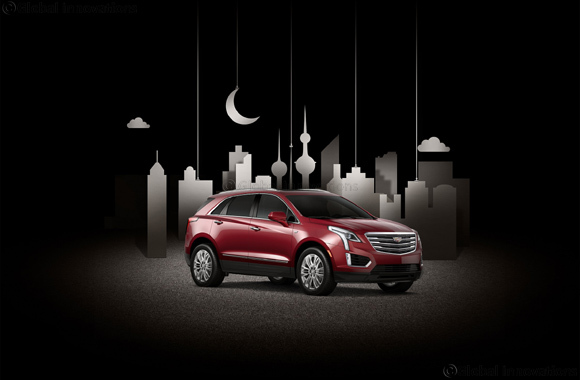 Kuwait City, Kuwait, May 09, 2018: Cadillac Alghanim has announced a series of exclusive offers, this Ramadan, on selected 2018 models that will be available to all customers across the country throughout the holy month. Cadillac is offering customers in Kuwait exclusive offers on luxury car models, including the CT6, ATS, CTS, XT5 and the flagship Escalade. Customers can avail these offers across a number of Cadillac models including the ATS, starting from 11,999 KD and CTS starting from 13,699 KD, with 0% interest on both vehicles. Cadillac’s flagship sedan - the CT6, will start from 15,999 KD. Customers of the premium sedan will be able to save up to USD 3,000 on the value of their existing vehicle when trading it in on selected trims of the CT6. In addition to its sophisticated design, the Cadillac CT6 comes with a wealth of new technologies including the Apple CarPlay, Rear Camera Mirror, Enhanced Night Vision technology and the pioneering 34-speaker Bose® Panaray® audio system. These offers are also extended to the XT5 crossover, a luxury SUV from Cadillac, with a bold design and a wealth of space, starting from 13,299 KD, with an additional USD 3,000 on the value on the trade in vehicle when purchasing any trim of the XT5. With the purchase of Cadillac Escalade - starting from 23,999 KD, customers will have the opportunity to avail up to 2500 KD towards the trade in of their existing vehicle. The Escalade sets the benchmark of SUV luxury with a balance of sophistication, functionality, and technology, it makes it presence felt on every road.